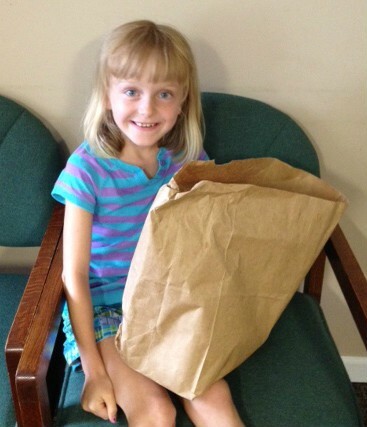 Claire Pursley saved her allowance to buy groceries for the Eleanor's Pantry. She heard about the pantry last year in a Lawton kindergarten class. One small gift can make a big difference! Did you know that June is a high distribution month for fond and a low contribution month for funds? Please help. Check out options for donating to the pantry yourself by clicking here.